Our first thought is that this creature has a lot of similarities to a leech. 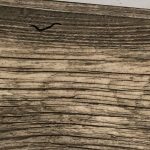 The body shape and color are a match and although we don’t know the exact size because there is nothing to scale the organism against, we reckon it is roughly the same size that a leech would be. 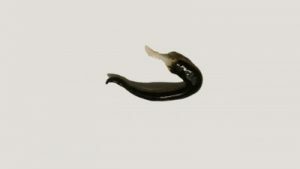 However, the body of a leech is lined with muscular segments. The body of this specimen is completely smooth. 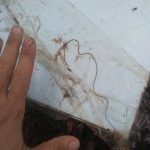 Therefore, we think our reader was on to something: this is not a leech and probably is a terrestrial flatworm. While terrestrial flatworms are predatory, they aren’t typically considered toxic or dangerous to organisms besides earthworms, which are their primary food source. 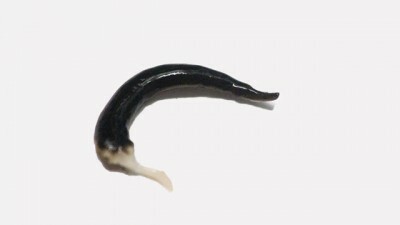 Terrestrial flatworms use their sensory organs to track their prey, then they immobilize and dissolve the unfortunate victims using their digestive juice. 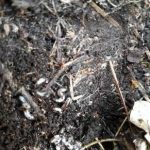 In addition to earthworms, some terrestrial flatworms eat snails, slugs, and some other insects. 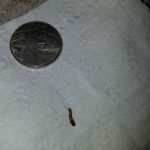 Now on to our reader’s next question: Does this worm pose a threat to his dog? 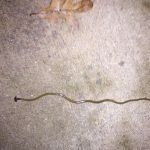 As we mentioned above, terrestrial flatworms attack earthworms, but they don’t eat or attack mammals, so our reader’s dog should be totally safe. 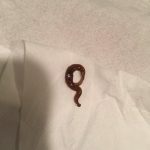 There are other species of flatworms that are indeed parasites and can be dangerous for both dogs and humans, like tapeworms, but we are confident that this is not what our reader found in his kitchen. Of course if he is worried about his pup’s health, he should visit a vet for an expert opinion on the matter! 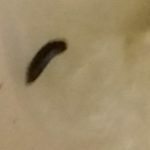 To end, a reader’s dog accidentally transported a terrestrial flatworm into his kitchen. We are confident that this creature isn’t a threat to him or his dog. 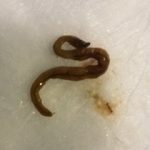 A reader's dog accidentally transported a terrestrial flatworm into his kitchen. We are confident that this creature isn't a threat to him or his dog.